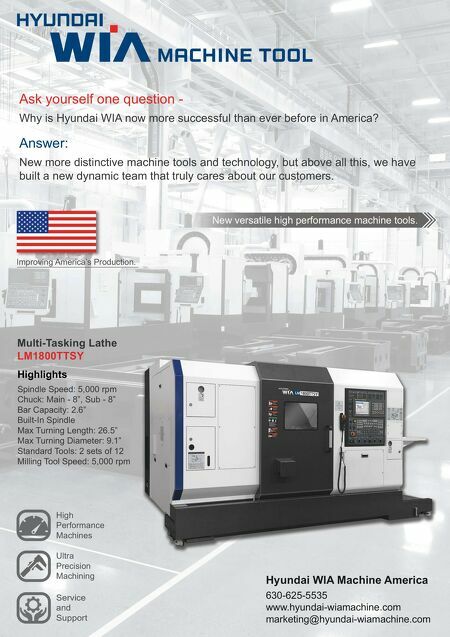 22 MMS September 2017 mmsonline.com RAPID TRAVERSE Machining Technology in Brief F ive-axis machining has become one of the most important technologies in metalworking today. The reason is not because the technology is new (which, of course, it isn't), but because it has gone mainstream. What used to be a niche capability for milling intricate contours is now a valuable automation tool in many shops, enabling not only those intricate forms, but also machining at many angles in one cycle to minimize the number of setups needed. However, the increased use of Workholding System Suits Five-Axis Machining by Clamping Underneath BY PE TE R Z E LI N S K I five-axis machining in general production means shops increasingly have to evaluate other com- ponents of their processes, such as workholding, with this capability in mind. John Zaya, workholding product manager for Big Kaiser Precision Tooling, says that, depend- ing on the part, the right choice of workholding might be the key to realizing five-axis machining's full promise for automated production. One of the options he often discusses in this context is the In five-axis machining, the challenge for workholding is allowing full access to the part. Clamping entirely from underneath can allow for secure holding while permitting complete or near-complete machining of the part in a single cycle.